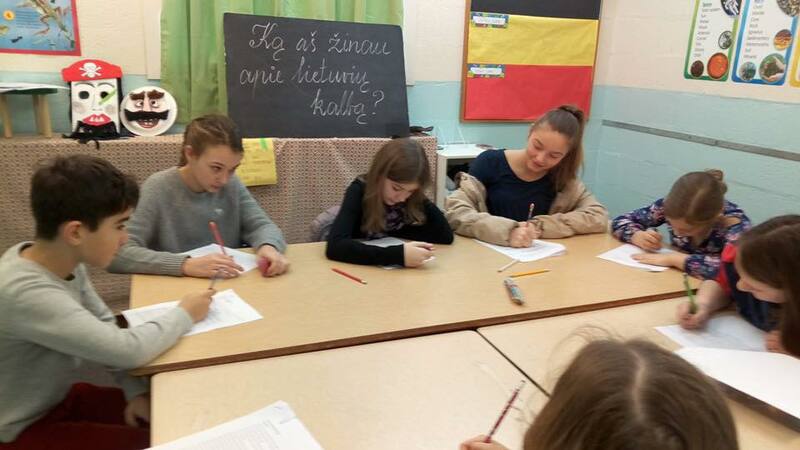 On Saturday, March 9, we organized the Lithuanian Language Competition at our school. 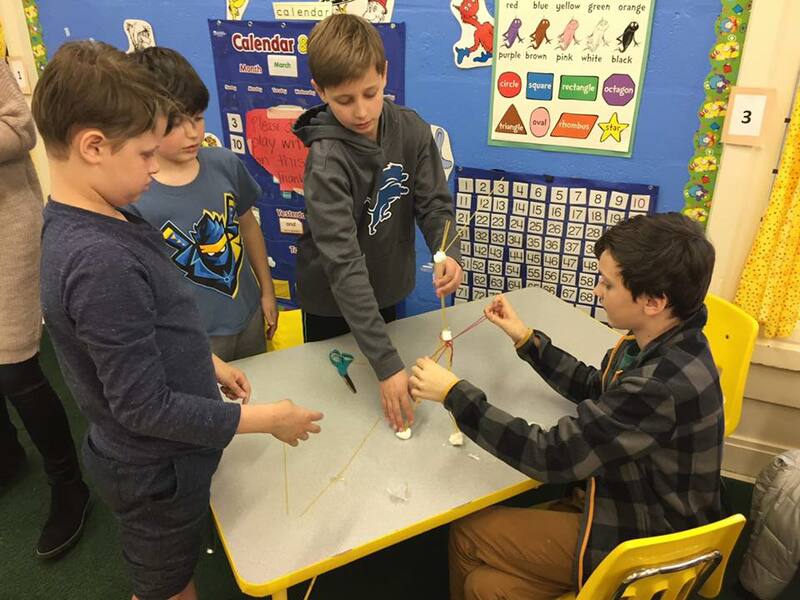 Students answered more than 30 questions - interesting facts about Lithuanian language. The ones who were well prepared answered the questions with confidence. Others learned a lot of new things. Teachers Laima and Eigirdas organized a quiz for 2nd and 4th graders. 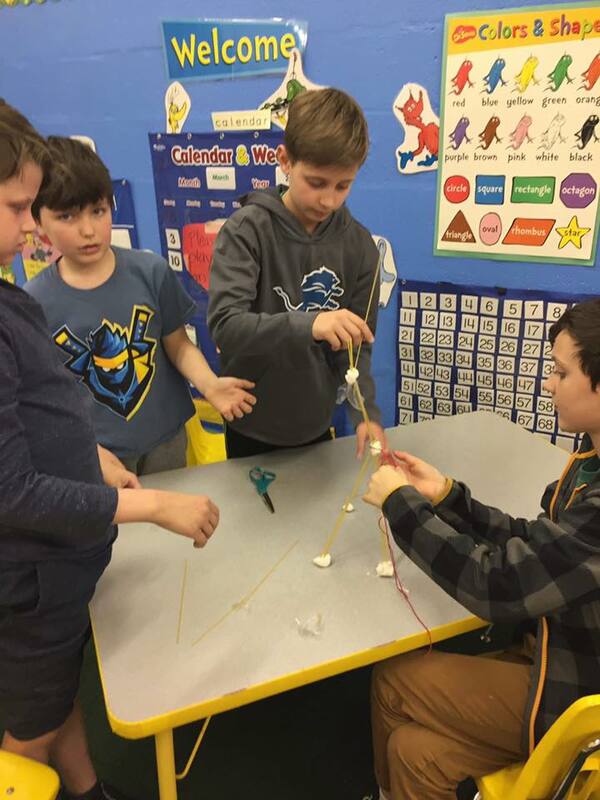 Students working in teams were answering questions, building spaghetti noodle towers and were competing with each other for the title of first place. In the Lithuanian Embassy of the USA, a Lithuanian language event was held commemorating the Year of the World Lithuanian. Lithuanians living in and around Washington wrote the National Dictation and participated in a special quiz about Lithuanian language. Student's parents who wanted to check their writing skills also wrote the dictation. The event was organized together with the National Lithuanian Language Commission.